Kuche is geographically located at latitude (41.72 degrees) 41° 43' 11" North of the Equator and longitude (82.92 degrees) 82° 55' 12" East of the Prime Meridian on the Map of the world. The locations related to Kuche are represented by the nearest distances for a beam of light to travel and may not be nearest by road. For example, Kuche is located 26.8 kilometre from Kuqa, China: Kuqa Airport. Kuche is located 298.2 kilometre from Yining. 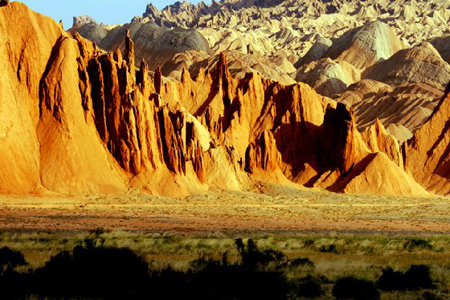 Kuche is located 303 kilometre from Aksu. Kuche is located 358.5 kilometre from Korla. Kuche is located 372.8 kilometre from Kuytun.